Do cyanotic gums make you tachypneic? Do you get tachycardiac when dealing with dyspnea? 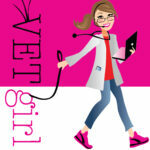 Join us for a 2-hour VETgirl online veterinary continuing education webinar with respiratory guru, Dr. Deborah Silverstein, DACVECC. In this lecture, Dr. Silverstein will review the basic approach to the dyspneic patient. Tune in to learn how to narrow down your rule-out list to 4 possible etiologies based on your physical examination alone! This lecture will also review the initial diagnostic and treatment plan for the critically ill, dyspneic patient, as well as a review of monitoring techniques. If I am already an elite member , do I still need to register for webinars or just join in when they’re online?